Founded in September 2015 by a team of new media revolutionaries, SIGNAL is inspired by the principles of press freedom and open societies powered by today’s new media revolution. 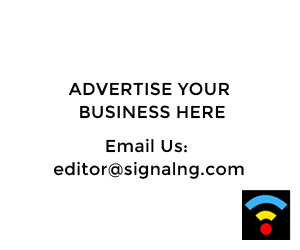 One of Africa’s leading Internet newspapers for exclusive reports on politics, policy, governance and much more, SIGNAL is a reader’s delight for news, entertainment, sports, faith and lifestyle presented from a refreshingly different angle. Our vision is to become one of the world’s leading Internet newspapers.